There are many reasons why people want their HiLux to go faster, but you don’t really need one. Like really, who doesn’t want a faster car? Especially for riding off-road, where you can’t get into trouble with the police. If you’re one of those people who want to improve their HiLux’ performance for whatever reason, there are a couple of different ways you can do that, even on a budget. The best way to do it is to add more combustion in the fuel chamber, and adding more oil isn’t an option, so modifying it to allow more clean air and to make it capable of working with more fuel is typically the way to go. You can accomplish this with the following steps. 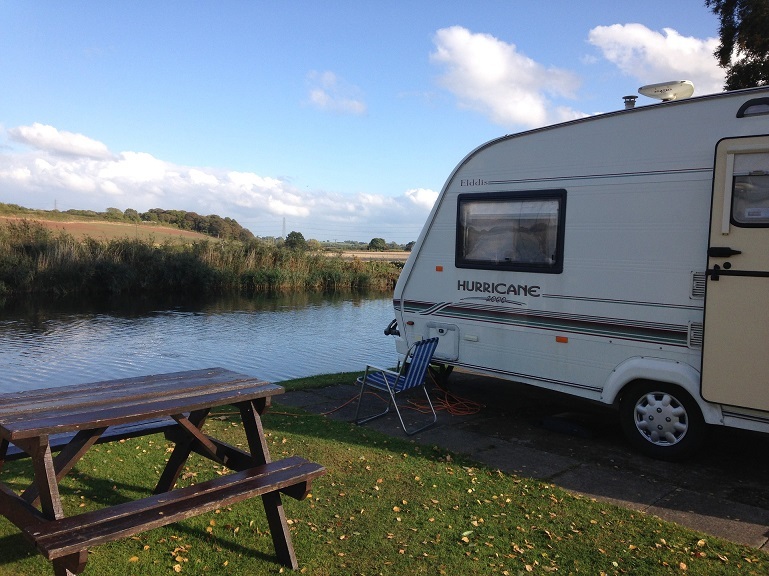 Even though we claim to go caravanning to escape the mundaneness of the everyday city life, we’re still going to find ourselves sitting in front of the laptop or TV eventually. That being said, being unable to watch TV because you don’t have the proper antenna set up can get frustrating at times. If you’re on the market for buying a brand new caravan TV antenna, there are a couple of important things to keep in mind to ensure you don’t have a weak signal, even when traveling far away from the urban jungle. Without further ado, here are the three most important factors to consider when buying a 12 volt caravan antenna. 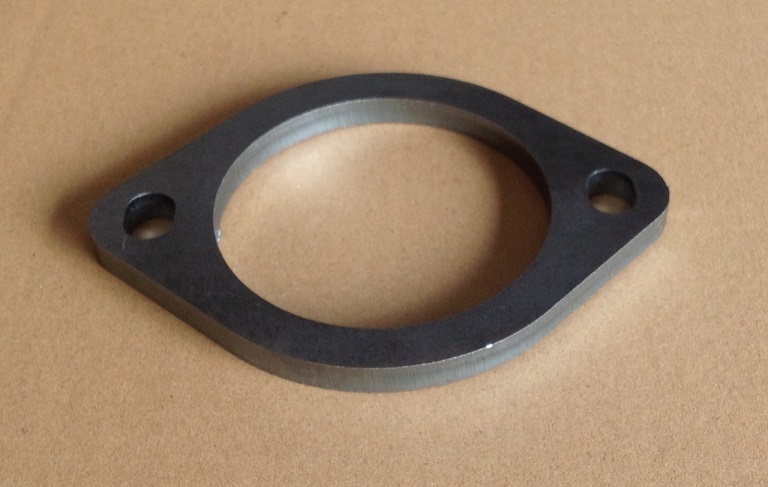 Flange plates (not to be confused with skid plates) are one of the smallest, most simple by design, yet equally as important as any other part of any vehicle’s exhaust system. 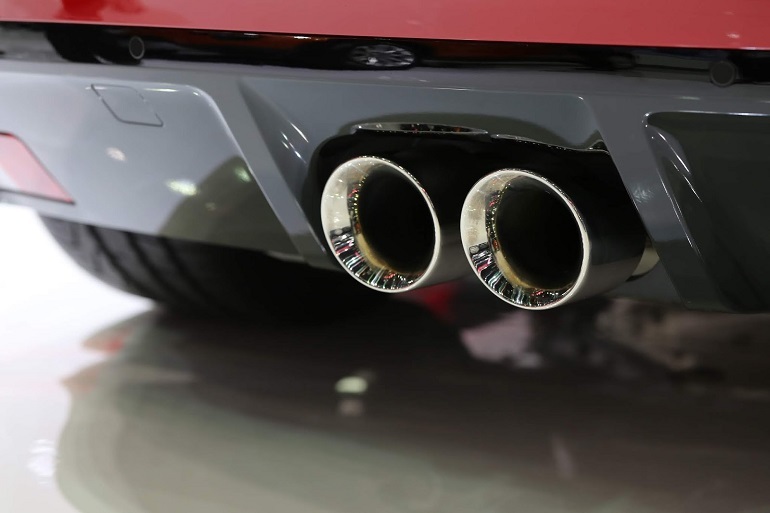 They secure the connection between the exhaust manifold and the tube segments, thus ensuring the flow of the exhaust gases that come in and out of the exhaust system have an unobstructed path. A lot of people overlook these small parts, until they become an issue and they have to replace them. The two most important things to consider when replacing a worn down and damaged flange plate are the material and size. One of the most vivid memories I have of being a pre-teen is when me and my family went on a vacation, and ended up getting stuck there for slightly longer than we intended, and it ended up costing my parents a couple hundred dollars. This was before the mobile phone era, and one of the few ways to listen to some music was on the car radio. One of the best-selling commercial vehicles on sale in Australia has been the HiLux. It’s by far exceeded sales of any other van or ute on the market. For the off-road enthusiast and hard working tradesman, it’s difficult to argue against buying a HiLux, just because of its sheer reliability, value, strength, safety features, driving experience are just a couple of the many reasons it’s one of the best commercial vehicles on the market. 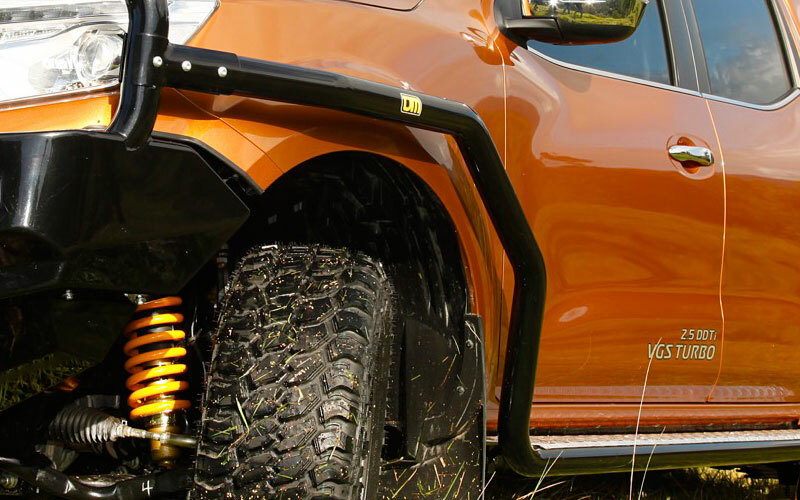 Even though the HiLux is rough, strong and reliable, the average off-road enthusiast should still consider investing into some protection 4×4 accessories to prevent damage to their valuable HiLux. One thing that comes on top of my mind when talking protection accessories for the HiLux are HiLux bullbars. If you’ve ever participated in any sports, the concept of a bullbar should be pretty familiar. Whether you’ve taken a knee in your sack after trying to defend the basket, or a random ball made its way to its friends between your legs, you can surely appreciate the necessity of some extra protection and padding when it comes to personal safety. Your HiLux is no different. 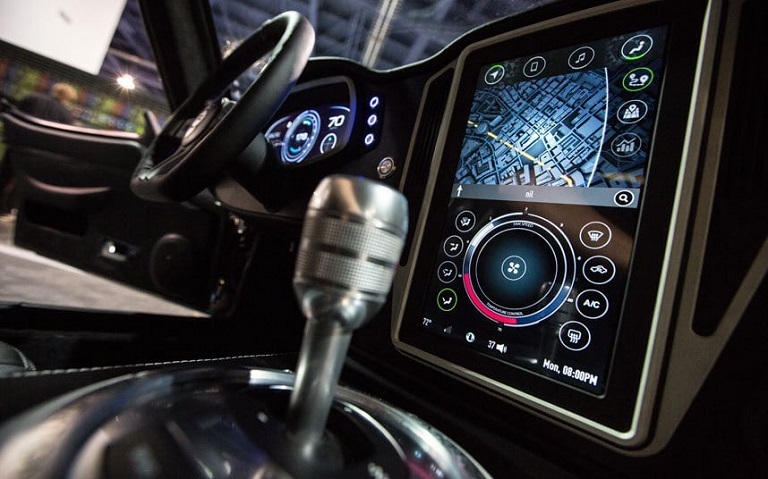 Your front end is very fragile, and all it takes is a robust tree branch, an oversized boulder to punch through it, and you’re looking at considerable repair costs. However, with HiLux bullbars, you can rest assured that your vulnerable front end is protected from damage. Moreover, they add an improved off-road, tough-guy appearance to your HiLux. Bullbars are typically made of stainless-steel or aluminium tubing and are sealed against weather elements with a polished finish or durable powder coating. Finding a trusty manufacturer is essential, so that you can get a specific model for your specific HiLux make, year and model to make the most out of the purchase. 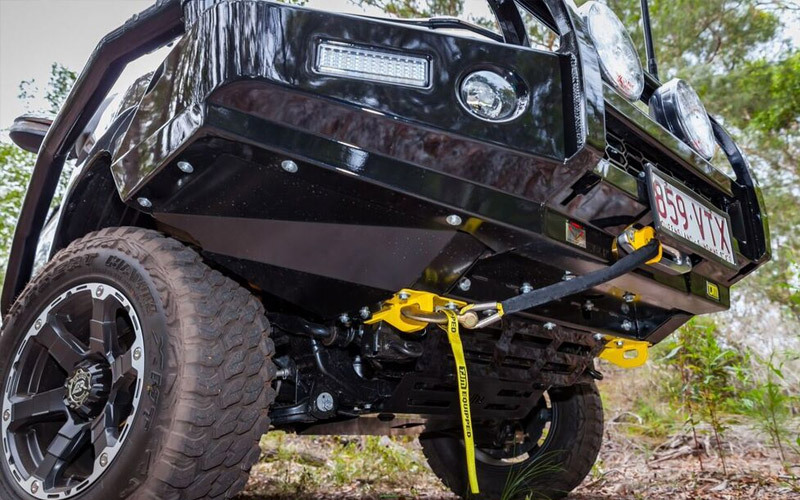 If the idea of a bullbar isn’t appealing to you, there’s a pretty good alternative – skid plates. They give the same functionality as the bullbar, except they offer more protection to the underside of your vehicle instead of your hood and windshield. Skid plates also offer reliable protection from all the elements for years to come. Furthermore, they most commonly come with pre-drilled holes which you can mount fog lights or other aftermarket accessories onto. They make a pretty good mount, if you don’t want to heavily modify the body of your HiLux. Bottom line is, if you’re an off-road enthusiast that frequently ventures off the beaten track, front end protection is essential to prevent thousands and thousands of dollars of repair costs. It’s a long-term investment that will certainly pay off for itself.